I'm glad you like it :) I'm pretty happy with how it came out as well. 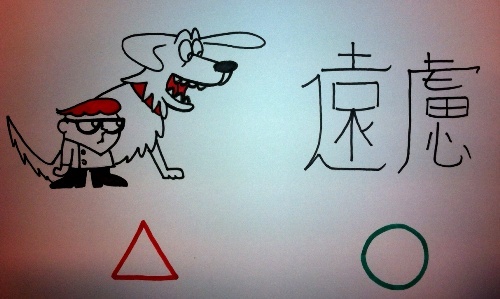 The triangle and circle are from Japanese iconology by the way. A triangle is negating, a circle is positive.